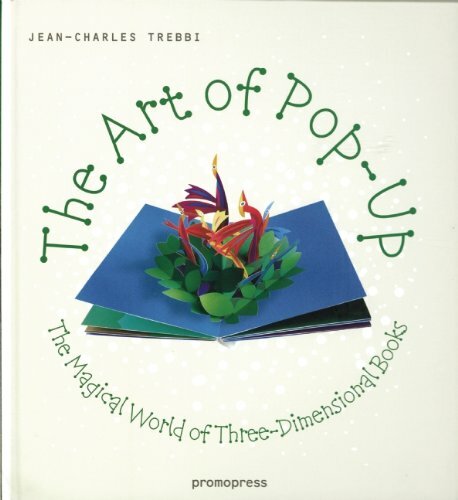 The Art of Pop Up covers the fascinating history and evolution of pop-up books over the years. It features pop-up books mostly but it also has cards and other interesting creations. So you get to see examples of pop-ups as they are used in different forms. Some of the works are quite ingenious, not to mention the level of complexity which makes they more amazing. There are lots of wonderful examples, pictures and writeup on the creators and the works. There's also an interview section with several current pop-up creators, or so called paper engineers. The last section explores even more applications for pop-up such as them being used in theatre, digital art or even for decorative purposes. To make your own pop-up, there's only one page fold out posters showing the different techniques to create them. It's quite elementary but good enough for beginners. Great book for those who like pop-ups. It's an very interesting subject to read about.